Awhile ago, Nintendo told investors that they plan to release 20 to 30 new Nintendo Switch indie games on the eShop every week. IGN Australia spoke to several indie studios and publishers to find out what they think about Nintendo’s new initiative. 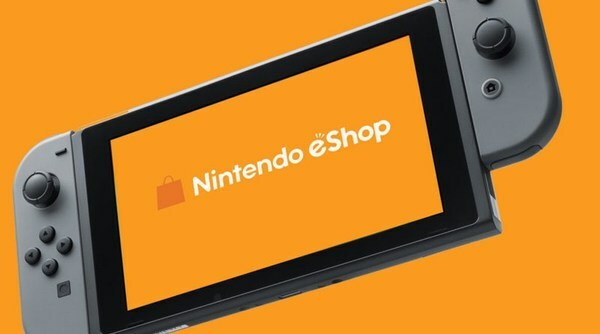 While some find the numbers manageable and others found it too high, all of them agreed Nintendo has to revamp the eShop to improve discoverability of new titles. Also, regardless of what happens, these indies plan to continue supporting Nintendo Switch. 20-30 games per week seems WAY too much. I can’t see how this is positive for anyone, honestly,” Mutant Mudds developer Jools Watsham told IGN via email. “The market is already saturated, but the number of titles developers choose to release isn’t under Nintendo’s control. The market is already saturated, so adding to it with 20-30 games per week will not alter the challenge that indie devs already face today. Whatever happens, it’s great that the Switch is here and even with more games coming, it will still stay a very solid option. So we won’t change our plans, for now at least,” Imbert said. “But…this situation can be completely different in a couple of weeks/months, who knows? We need to stay focus on the games themselves and hope for the best. It’s obviously quite manageable numbers compared to App Store, Google Play or Steam, but we’ve always thought those are pretty overcrowded, haven’t we. Nintendo has a habit of curating content, which typically means approvals and manual labour on their end. It may not only be too many titles for the eShop, it may also be too much work for Nintendo to realistically cope with. ​They should hurry to look at and implement what ‘the overcrowded ones’ are already doing: today’s/this week’s specials, ‘people also bought’… ensuring strong discoverability isn’t just a benefit for players — it can help ensure the stability of the eShop’s output. Nintendo also needs to level the playfield so that smaller devs keep coming back. It’s obvious that ‘discoverability’ on Steam and App Store favors the companies that are already very successful. Since it’s typically harder to make games for consoles, first-time Switch devs may take one shot at the Switch – and if they’re unsuccessful, they may decide it wasn’t worth it. We would worry if the higher numbers meant that all the “extra games” that are coming were better than ours. But I’m confident that games from Image & Form, Zoink and other developers published by Thunderful will hold their own. This is the nature of digital store fronts, not just for Nintendo but across all platforms. It’s an environment that we’re used to and it’s amazing to see Nintendo supporting all of these incredible indie games. Creating systems to let players find more games related to the games they bought, search by publisher, search by rating systems to find high quality games, discover game by categories, see game popularity by day/week/month, view featured games in different ways. We’ll keep making the best games we can, regardless if there is one game or a million games released a day. The Switch is an amazing gaming machine, and we will continue to support it with our best efforts.